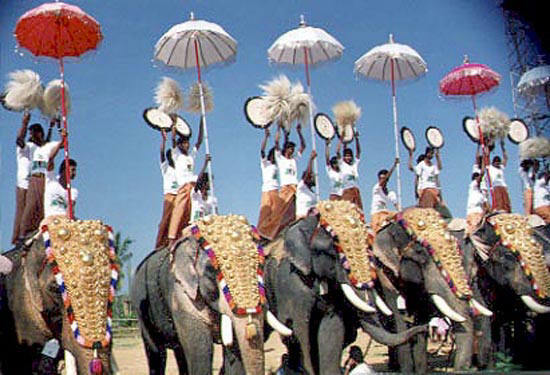 Kerala is having a rich cultural heritage, which goes way back to ancient times. The contribution of Kerala to literature, music and arts of Indian heritage is unique and exemplary. The history of Kerala goes back more than several millennia. Stone age carving in Edakkal Caves had pictorial writings believed to be dating to atleast 5000 BC, from the Neolithic man, indicating the presence of a prehistoric civilization or settlement in this region. On arrival in Delhi, you will be welcomed by our executive and transferred to your hotel (Rooms will be booked from 1200 hrs to facilitate immediate check in). After breakfast in the hotel, transfer to airport to connect flight for Calicut – once the capital of the powerful Zamorins and a prominent trade and commerce centre, Calicut (Kozhikode) was the most important region of Malabar in the days gone by. 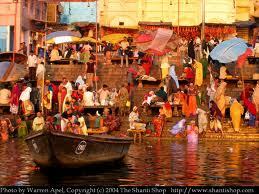 It was very well known as a hub of commerce and trade. Today, lush green country sides, serene beaches, historic sites, wildlife sanctuaries, rivers, hills, a unique culture and a warm, friendly atmosphere make it a favourable destination to visit. Overnight stay at hotel in Calicut. After breakfast in the hotel, an excursion to Beypore, located about 10 kms south of Kozhikode town at the mouth of the Chaliyar River. After breakfast in the hotel drive to Mahe – A land that satiates an intelligent tourist, Indian, as well as foreign. This small land , has in every corner its own wonderful story to tell which keeps your eyes wide with awe and excitement. If there is any place in India that makes and keeps its own history as a beautiful legend, that is Mahe fantastic blend of Myth and Mystery. On arrival transfer to a heritage bungalow located on the Arabian Sea. In the afternoon visit to the fort and mosque. Breakfast in the hotel. Apart from the wilderness and the beaches and of course the Ayurvedic treatments, Kerala is also known for the traditions and the culture that they practice. So we move towards witnessing this spectacle of traditional Dance forms and see the ‘Thayum’ and ‘Kalari Pati’. After breakfast drive to Wyanad. Overnight stay at Vythiri Resort surrounded by lush green rainforests. This eco-friendly resort provides the visitors with ample opportunities for bird watching, trekking and elephant ride. After noon take a 4-km trek to an awe-inspiring ancient cave, providing an insight to the rich Indian civilization. Overnight stay in Vythiri Resort. After breakfast in the hotel drive to Cheruthuruthy. Visit the school of traditional art and dance – Natya Kala Mandalam. Visit local potters and weavers. Stay overnight at the Heritage River Retreat Hotel. After breakfast drive to Cochin. This is a beautiful city situated on the Western Coast of India facing the Arabian Sea, and rightfully called the ‘Queen of the Arabian Sea’. It has a rich network of backwaters and is the culture and heritage centre of Kerala. A cluster of islands, Cochin is the commercial city of Kerala and is one of the finest natural harbors in the world.On arrival in Cochin, check into hotel and in the evening take short city tour of Cochin.In the evening have small city of Cochin. You will visit Jewish Synagogue, constructed in 1568, is the oldest synagogue in the commonwealth. It is closed on Saturdays and Jewish holidays. Mattancherry Palace or Dutch Palace has fine collection of mural paintings depicting the scenes from the Hindu epics Mahabharatha and Ramayana. It is closed on Fridays. 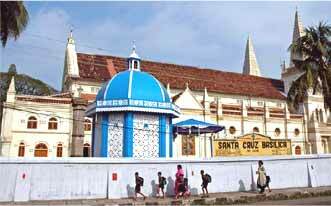 In Fort Cochin visit St. Francis Church, the oldest church built by Europeans in India. Vasco da Gama was buried here in 1524 before his remains were moved to Lisbon, Portugal. The tombstone still remains. Also visit Chinese Fishing Nets that are the most efficient means of backwater fishing. After breakfast drive to Alleppey and board the Rice boat – It took great skill and meticulousness to construct these Houseboats by tying huge planks of jack wood together, without the use of a single nail. It usually has one or two bath rooms, an open lounge, deck, kitchenette and a crew comprising oarsmen, a cook and guide. The backwaters of Kerala form the lifeblood of beautiful Kerala and played a main role in the economy of the state. Riceboats and small ships used to ply in these waters, carrying coconut, rubber, rice and spices to various trading centers of Kerala. Even today, these waterways link remote villages and island with the main land .It is an incredibly different experience to cruise in the backwaters in country boats, absorbing the beauty of the villages. Sail along the winding network of Kerala backwaters, see the unique water world and experience its myriad charms.Eat spiced and baked rice cakes on board a floating rice barge, fish for fresh catch and have the cook onboard cook a traditional delicacy for you, lie down on the deck and count the glittering stars that garland a clear moon with crickets making pleasant sounds as your barge floats along the unending network of Kerala backwaters. Embark at the local villages that flourish on the banks of the emerald Kerala backwaters and visit the village bazaars that are flooded with coir products, coconuts and other village produce. You can also interact with the local population see their lifestyle. Although practically surrounded by water, they still manage to keep cows, pigs, chickens and ducks and cultivate small vegetable gardens, prawns and fish. In houseboats, traditional Kerala food will be served. Lunch, Dinner & overnight on Boat. In the morning after breakfast disembark the boat, and drive to drive to Kovalam – is one of the most popular beach hangouts in India. Kovalam means a grove of coconut trees and truly the coconut trees along the beaches gives it a ravishing look. The palm-fringed bays in secluded coconut groves, promise a relaxed stay. The boundless blue waters of the Arabian Sea and miles of white sands washed away by the surf at the feet of the stalwart palms and the rocky promontories, makes this beach paradise. You may take Ayurvedic massage or treatment at the hotel on direct payment basis. After breakfast half day sightseeing of Trivandrum including visit to Shree Padmanabha Swami Temple, Napier Museum, Chitralayam Art Gallery, Zoological Gardens, Reptile House Observatory and Kanakakannu Palace. In the morning transfer to Trivandrum airport to connect flight.